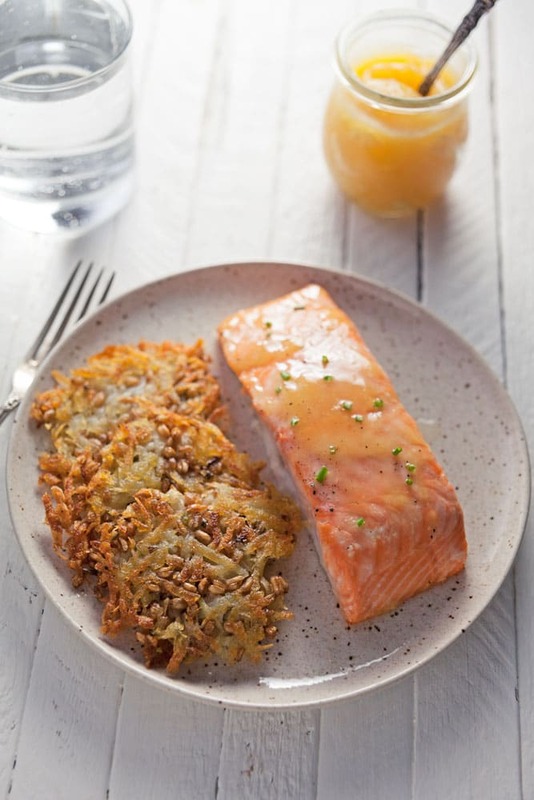 Lemon Curd Salmon with Potato-Farro Rosti | Healthy. Delicious. October is National Seafood Month and I’m partnering with the Seafood Nutrition Partnership again to help promote their Healthy Heart Pledge. I took the pledge myself and am committed to eating at least two servings of seafood per week. 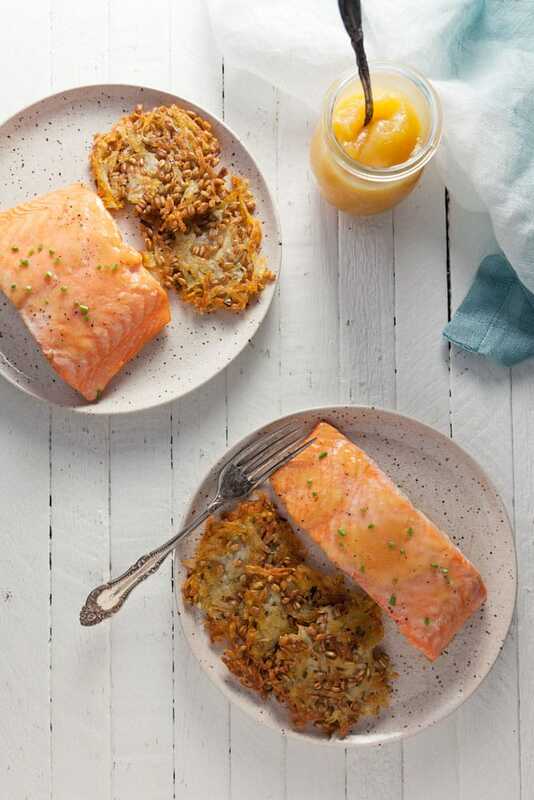 I made this Lemon Curd Salmon with Potato-Farro Rosti last week and I’m completely obsessed. A lot of people are intimidated by cooking fish at home, but you don’t have to be! This recipe is practically fool-proof. The whole thing is made with just 5-ingredients, but it tastes like something you’d get at a fancy restaurant. Using lemon curd as a glaze for baked salmon is one of my favorite kitchen hacks. It melts into a luscious sauce that adds the perfect amount of citrus flavor to the fish with practically no effort. 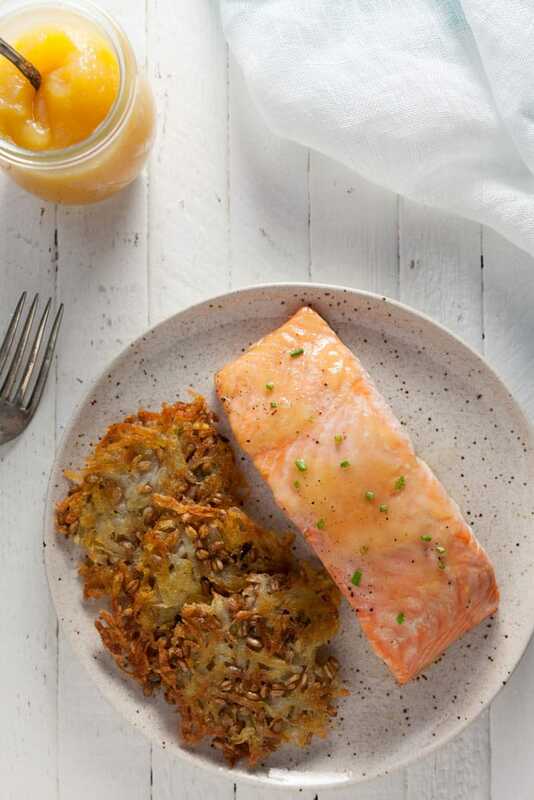 Since the salmon is so simple, you’ll have time to focus on the delicious potato-farro rosti. Rosti is the Swiss version of a potato pancake, and it reminds me a lot of hash browns. You make them with shredded potatoes and don’t use any binder. 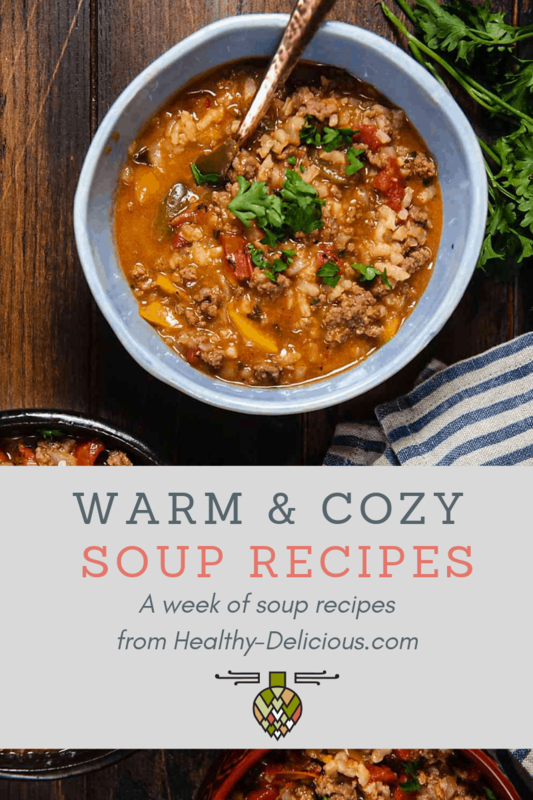 I’ve found that adding leftover cooked farro and chopped chives to the mix adds loads of texture and flavor – they’re irresistible! With recipes this easy and delicious, there’s really no excuse not to eat fish at home. Which is great, since the USDA recommends eating two servings per week. Seafood is high in healthy fats (omega-3s) which are essential for heart health and brain health. An estimated 50,000 deaths from heart disease and stroke are avoided per year by eating fish! 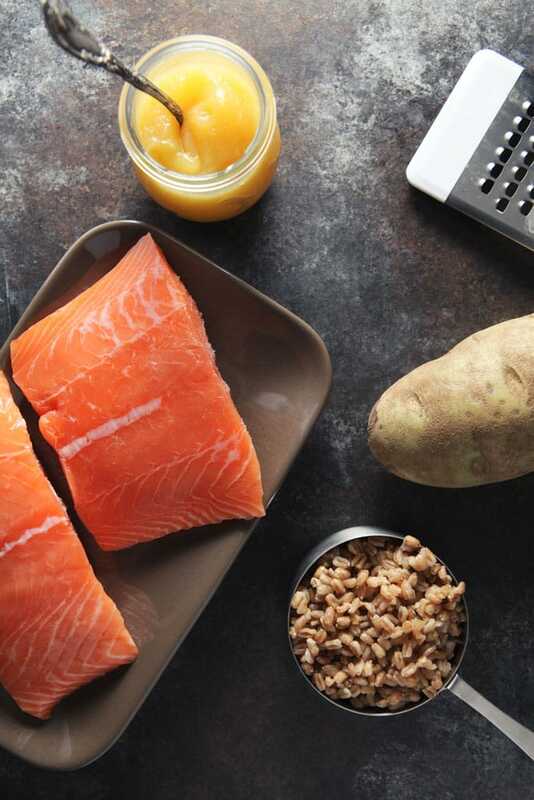 Take the Healthy Heart Pledge, and like Seafood Nutrition Partnership on Facebook for tons of inspiration on how to work seafood into your weekly menus. Heat your oven to 400ºF. Line a baking sheet with foil for easy cleanup. Shred the potato into a mixing bowl and season with salt and pepper. Let sit 5 minutes to help release some liquid. Using your hands, squeeze as much moisture out of the potatoes as you can and transfer them to a second bowl. Stir in the farro and chopped chives. Heat a heavy skillet over medium heat. Add enough oil so that it comes to a depth of about 1/8-inch. When the oil is hot. 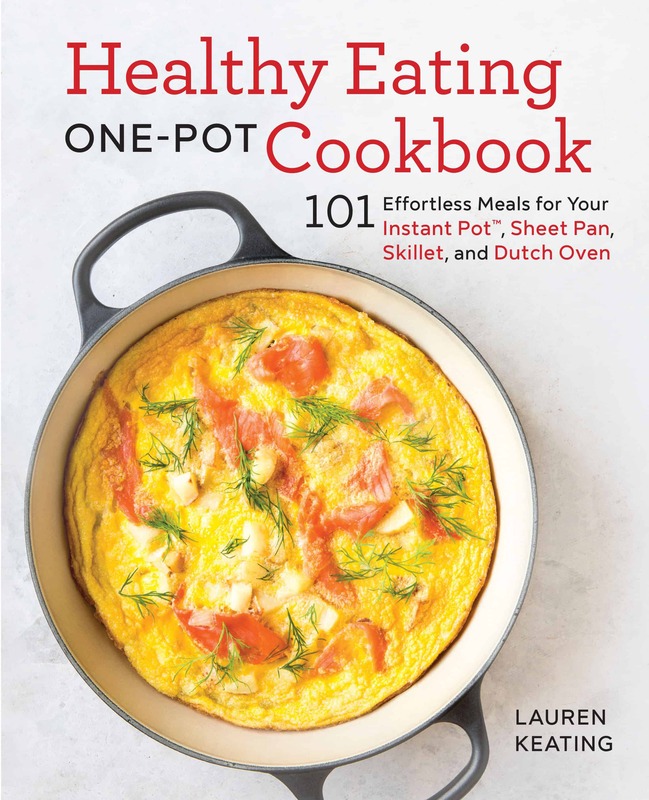 Drop handfuls of potatoes into the pan to create 4-inch rounds that are about 1/4 inch thick. Cook for 6 minutes, or until the bottom is golden brown and the top begins to look opaque. Use a spatula to flip, then cook another 4-6 minutes on the second side. Remove from the pan and drain on paper towels. Place the salmon skin-side down onto a baking sheet. Spread each filet with 1 tablespoon of lemon curd; season with salt and pepper. Bake 12-15 minutes, or until cooked to your liking. Remove the salmon from the oven and garnish with chopped chives, if desired. 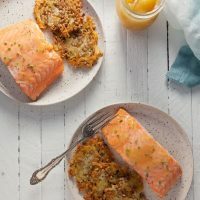 Serve with additional lemon curd and the potato-farro rosti. Wait where is the actual recipe? I’m experiencing technical difficulties right now – it should be back in a few minutes! What a great idea to use lemon curd! I love citrusy sauces/glazes on seafood, but never thought to use curd. Trying it this way next time!